Theology The center of Episcopal teaching is the life and resurrection of Jesus Christ. The basic teachings of the church, or catechism, include: Jesus Christ is fully human and fully God. He died and was resurrected from the dead. Worship Sunday is traditionally when Episcopalians gather for worship. The principal weekly worship service is the Holy Eucharist, also known as: the Lord’s Supper, Holy Communion, or Mass. In most Episcopal churches, worship is accompanied by the singing of hymns, and in some churches, much of the service is sung. Structure Structure. As its name suggests, the Episcopal Church, as are other Anglican churches, is governed according to episcopal polity with its own system of canon law. This means that the church is organized into dioceses led by bishops in consultation with representative bodies. 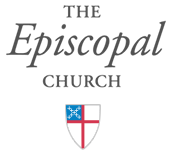 Membership The Episcopal Diocese of Central Pennsylvania comprises 12,000 members and 60 congregations in the central region of Pennsylvania. We welcome anyone to our community. Membership or Discipleship? A diocese is a community defined in part by a geographical area in which there are missionary outposts charged with making disciples of Jesus. When we take this charge seriously, we change the world. The Diocese of Central Pennsylvania has 62 missionary outposts. As a diocesan community, we work together and pool our resources so that each can accomplish the work set before them. The church exists to help people grow in their relationship with Jesus – to become his followers or disciples. When Jesus is our focal point, our lives will naturally show forth acts of kindness and generosity and ministry becomes a way of life. For the Diocese of Central Pennsylvania, our parishes are part of the larger community of people with whom this relationship is lived out and nurtured. It is important to remember that the parish is not the end – it is the means to the end. Sometimes people focus more on their relationship with the parish than with Jesus – sometimes, because of the ways parishes work, this is encouraged. What follows is a brief outline of some of the distinctions between membership, which tends to focus more on the parish, and discipleship which focuses on Jesus. What kind of diocesan and local community do you want us to be? Membership The Member of a congregation is expected to: 1. Give money to support others who do ministry. Ministry is done by professionals – people like the priest, a missionary or those engaged in social service. 2. Maintain the institution. Members are expected to give enough money to keep the building cooled and heated, lit, and maintained, and to make sure that enough people take their turn on committees. 3. Live an upright life and be a good citizen. It is important, and expected, that members of congregations contribute to the larger good in the community and don’t become public scandals. Some assumptions inherent in the paradigm of membership… 1. The mission field is elsewhere. 2. The goal of the congregation is to get and keep members. In many congregations, the death rate far exceeds the birth rate – so it is important to get members and keep them. 3. Congregations have low expectations of members. The reason for this is obvious: if we expect too much of members, people probably won’t join, and if they do join, they won’t hang around for long. Discipleship The Disciple is expected to: 1. Do the ministry. Disciples don’t rely on the priest to do the ministry needed—they understand that ministry belongs to all God’s people. 2. Be transformed through daily prayer, scripture reading, weekly worship, growth in giving to the tithe or beyond, serving others in Jesus’ name, and sharing the faith story with those who need to hear it. 3. Live in community. The larger community is the congregation. In many cases, a smaller community is a small group that gathers for prayer, study and service. Some assumptions inherent in the life of discipleship… 1. The mission field starts at the front door of the church. 2. The goal is to make disciples for Jesus Christ. It is not that membership in the congregation is a bad thing; it just isn’t enough. 3. There are high expectations of disciples. The traits of discipleship listed above are understood to describe the life of followers of Jesus and all disciples are expected Constitution and Canons (National Church) https://extranet.generalconvention.org/staff/files/download/15057 For the newcomer (What to expect for newcomers and visitors to a worship service) If you are new to the church community, curious about the Christian faith, or wondering what it means to be an Episcopalian, you’ve come to the right place! We don’t pretend to have all the answers, but we welcome and value the questions of believers, doubters and nonbelievers alike. We put our stock in shared prayer and mutual relationships—with God and with one another—not in religious rules or doctrines. We invite you to take first steps to discovering the faith and ministries of the Episcopal Church and encourage you to get involved. Explore here what it means to be an Episcopalian to get a sense of how we view and live out our faith, and, if you desire, become a part of our worshiping community. Empowered by faith, and with a firm belief in the dignity of every human being, we are answering God’s call to strive for justice and peace by speaking out on key social justice issues. As God’s word became flesh, so our words must be translated into action. For us, the Episcopal tradition is where the light shines the brightest. Come worship with us, or if you’d like to have a conversation with a member of our diocesan staff about a particular ministry of the diocese, visit the staff directory.